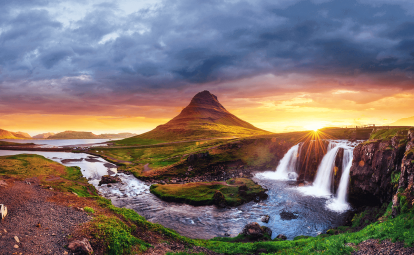 Now is not the time to travel to Iceland for a budget vacation. An incredible rebound in the Icelandic Krona, even with removed capital controls, has boosted its value against the U.S. dollar by 19.6%. The often out-of-the-way island nation is expensive to transport items to and from, which boosts costs all along the supply chain. Eating out in Iceland is nearly 20.0% more expensive than any other country on this list. * Flight prices were calculated by applying dollar per 100/km figures provided by Kiwi.com's flight price index to the mileage from New York City's JFK airport to the stated country's capital. Total prices are estimates and may not be reflective of current available ticket costs.